"My wife and I have no regrets whatsoever about adopting our children, and watching their progress has been deeply rewarding." In England around 2,000 children are waiting for loving adoptive parents. They are a range of ages, from a variety of backgrounds. What they have in common is a difficult start in life and that they can no longer be brought up by their birth families. All these children need a loving, stable home. They need parents who will stick by them through the good times and the bad. They need support and love to help them overcome their troubled backgrounds, make sense of who they are and grow up to be safe and secure. Adoptive Mum, Maria, talks about adopting siblings and the highs and lows of family life. Hear more adopter stories through our Meet the Adopter webcasts. These are now available as audio downloads for you to listen to in your own time. 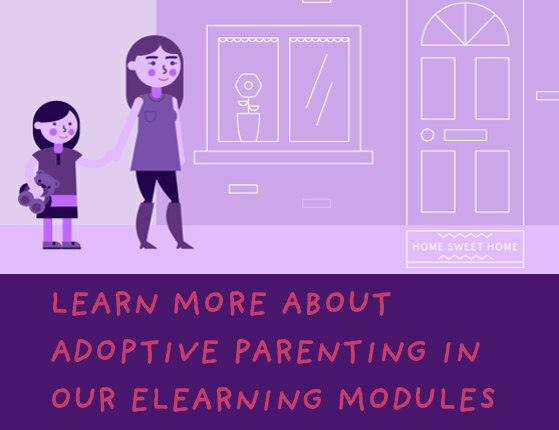 Find out more about the challenges and rewards of being an adoptive parent through our elearning modules. First Steps guides you through a wide range of subjects, that empower you to be a better prepared parent. Learn about the backgrounds of the children and how this impacts on their future development.